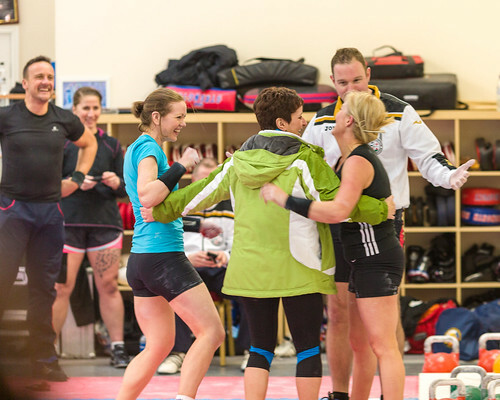 First photos are being posted on Facebook at http://on.fb.me/10LVvgk…..
Manchester Kettlebell Open 2013 – done and dusted! What a fantastic day yesterday. Fantastic performance by Yorkshire Kettlebell Club in Manchester (4 golds, 4 silvers and a bronze), and it was a pleasure to be a spectator at such a friendly, superbly-organised event. Thanks Steve and everyone else at Manchester Kettlebell Club who made it happen, and happen so smoothly, and thanks to all the people we met who made it such a friendly day. I wait to see whether Mrs G’s biathalon debut will be followed up by further competition entries…. Photo processing underway and I suspect they will start to appear on Facebook in the next hour or so, to be continued over the next day or so.